For fresh-tasting filtered water, replace your Brita filter regularly. 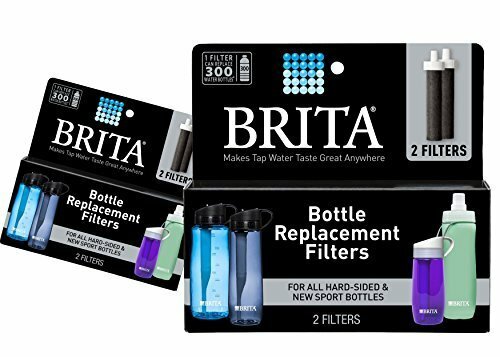 BPA-free Brita Bottle Replacement Filters fits Brita Hard-Sided and Sport Bottles. Replacement filters sit inside the bottle, filtering out chlorine taste and odor that may be found in tap water. Ditch your disposable bottles and save with every sip. One water filter can replace up to 300 standard 16.9-ounce water bottles, better for the environment and for your wallet. 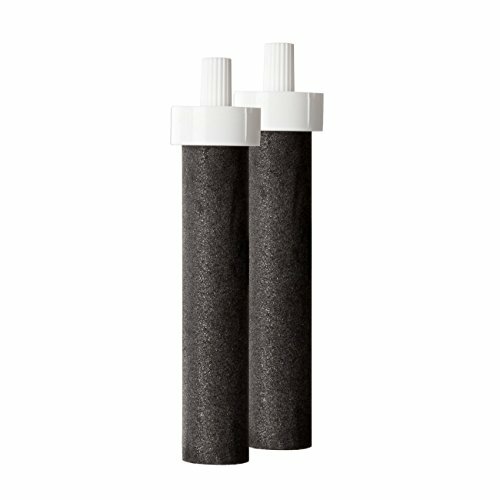 Keep the fresh-tasting filtered water flowing by replacing the filters every 40 gallons or 2 months with this convenient 4-pack replacement filters. With Brita, you can take great-tasting filtered water anywhere. 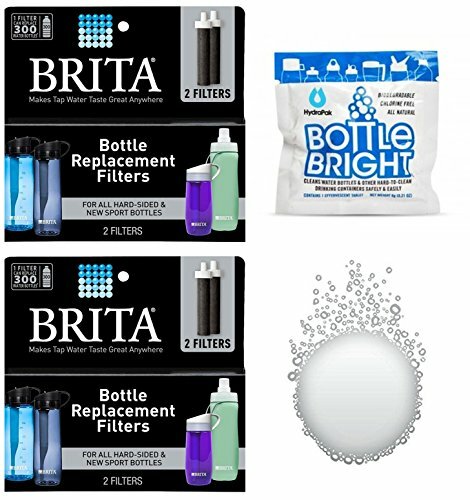 Brita Water Filter Bottle Replacement Filters fit all Brita Hard Sided and Sport Water Bottles. These filters are BPA free and help reduce chlorine taste and odor commonly found in tap water to deliver great tasting water every time. One filter can replace 300 standard 16.9 ounce plastic bottles resulting in less money spent and less plastic waste. For optimum performance, filter should be replaced every 40 gallons or very two months, whichever comes first. 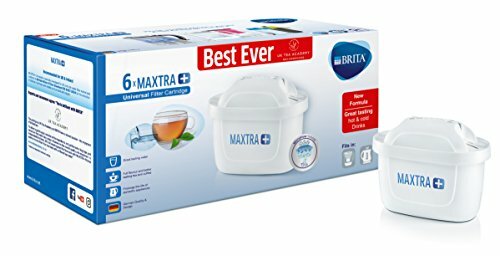 Use Brita for better water, a better world, and better value. To be used with the Brita In-Line Shower Filtration System, providing cleaner water for your shower. 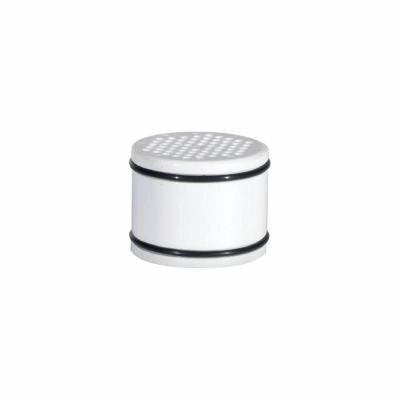 Filter replacement is easy by removing filter cap and inserting new filter. Reduces: sediment and chlorine. 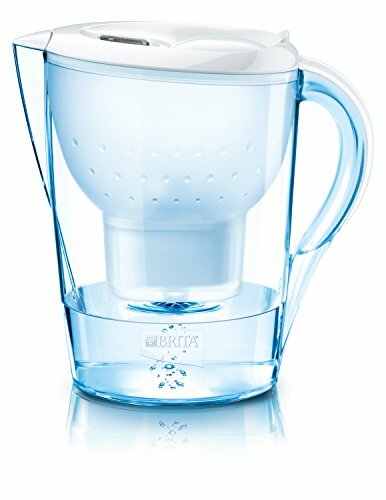 [BRITA_LOGO.JPG] CATEGORY: PITCHERS AND FILTERS MANUFACTURER: BRITA - A CLOROX COMPANY - CLOROX SALES CO. PART NUMBER: 35503CT UPC: 060258355031 To enjoy healthier, great-tasting water for pennies per gallon, change your water filter regularly. 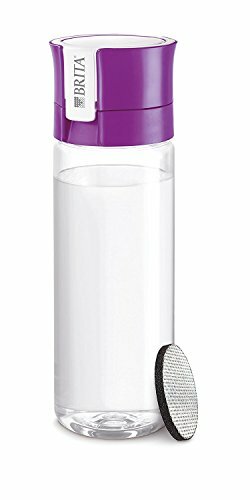 BPA-free BritaÃ'Â® Advanced Replacement Filters fit all BritaÃ'Â® pitchers and dispensers. They reduce zinc, chlorine taste and odor, copper, mercury and cadmium, all of which may be in tap water. You can replace them easily and quickly without presoaking, and they leave no black flecks in your water. For optimum performance, change your water filter every 40 gallons, or approximately every two months. One water filter can replace up to 300 standard 16.9-ounce water bottles, cutting down on plastic waste and saving you money. Step-by-step instructions how to change a Brita water filter. Be sure to use cold water, a new filter, and a clean pitcher. We show you the whole process including what the carbon filings look like the first few times you filter, and when to know your water is ready to drink. 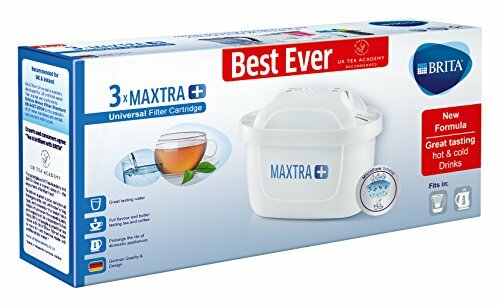 Compare prices on Brita Filter Parts at ShoppinGent.com – use promo codes and coupons for best offers and deals. Start smart buying with ShoppinGent.com right now and choose your golden price on every purchase.